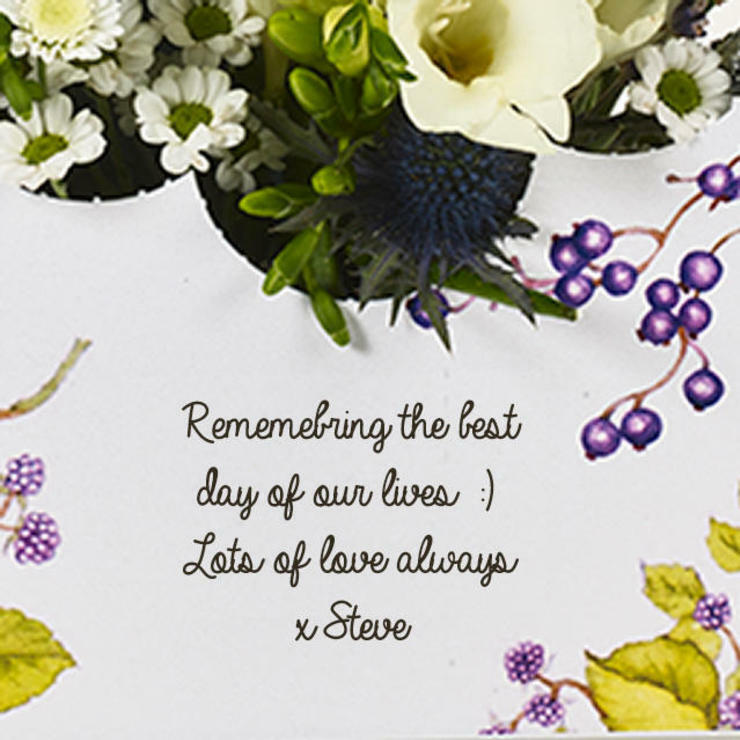 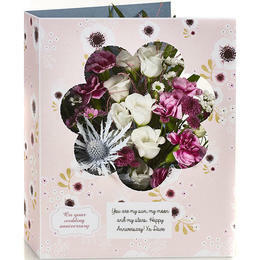 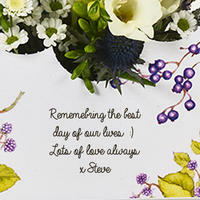 A quiet stroll through country lanes is the theme of this elegant Flowercard. 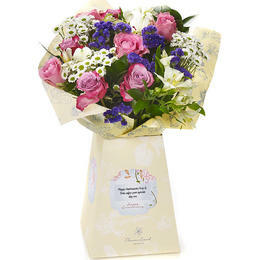 The delicate display features white freesias, white chrysanthemum spray, ornithogalum, and orion blue eryngium. 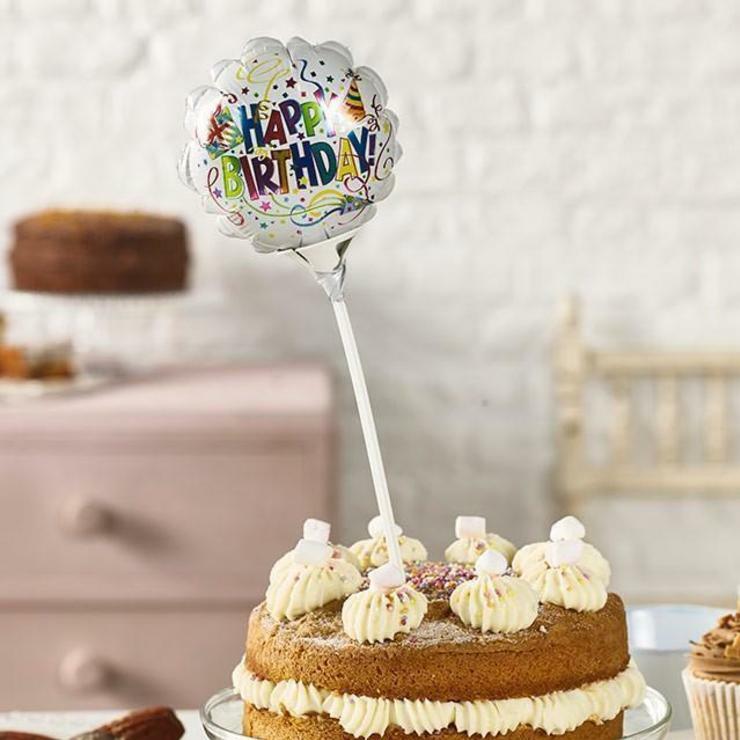 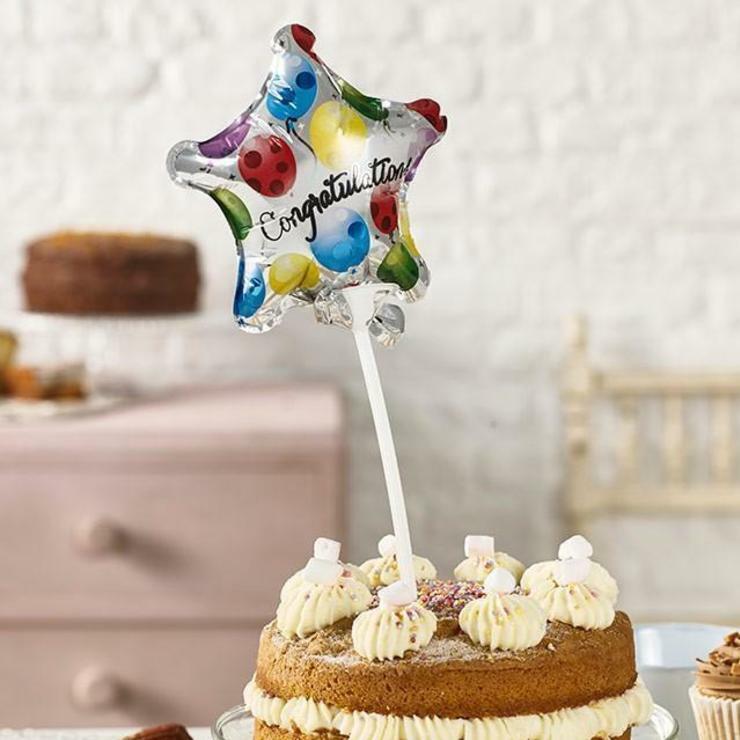 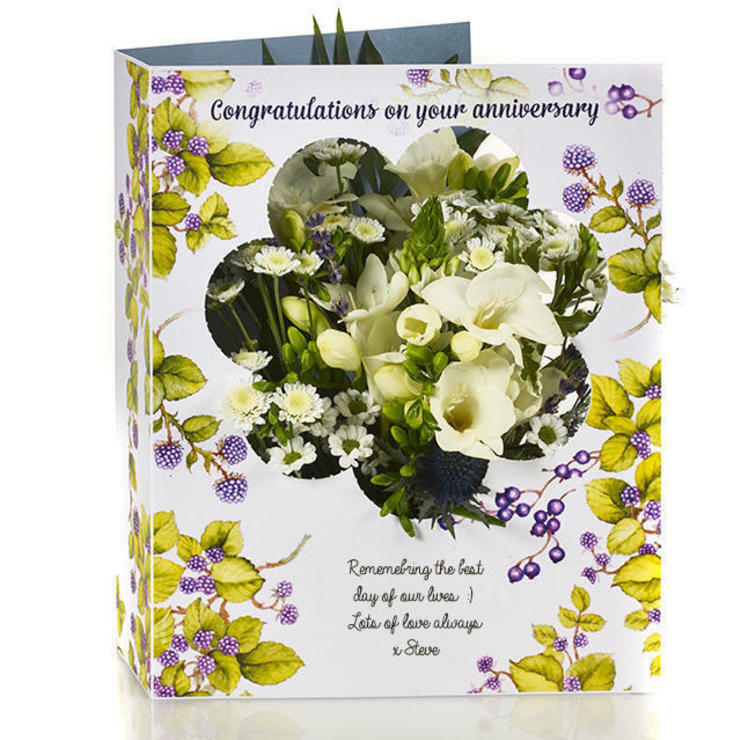 "Congratulations on your anniversary" will be printed on the card with room for your own unique message.